UK - December saw the newly restored Alexandra Theatre at Alexandra Palace open its doors after 80 years of darkness to reveal not only a stunning space that has undergone the most sympathetic of restorations, but a comprehensive technical infrastructure that includes audio system that delivers purity of sound and capabilities that will satisfy any visiting production. At its core is a DiGiCo SD12 mixing console supplied and installed by HD Pro Audio. 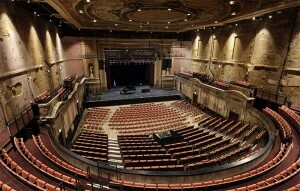 The Alexandra Theatre was originally opened in 1875 and hosted pantomime, opera, drama and ballet. However, it struggled to compete with the might of the West End and its use as a theatre ended. Subsequently it was used as a cinema, a chapel, home of music hall stars and, more latterly, as a BBC prop store and workshop. In 2012 the decision was made to restore it to its former glory and with grants from the Heritage Lottery Fund and the London Borough of Haringey secured, work on the ambitious project to turn the crumbling Grade II listed space into a 900-seat working theatre began in 2016. 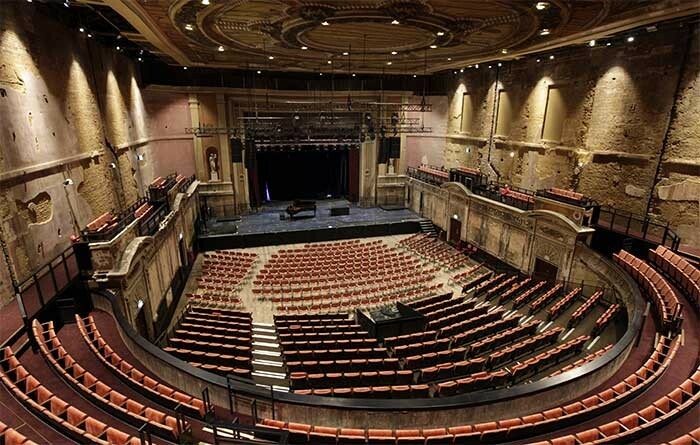 Head of production and technical for Alexandra Palace, Steve Brookes, was brought in part way through the restoration process to turn the construction project into a working theatre. “Before my arrival, there wasn’t any kind of production infrastructure at Alexandra Palace; the Great Hall, which hosts many concerts, is a receiving house and doesn’t require any permanent facilities,” he explains. Steve needed to specify a system that would not only satisfy engineers on arrival, but also help to attract productions to use the space. 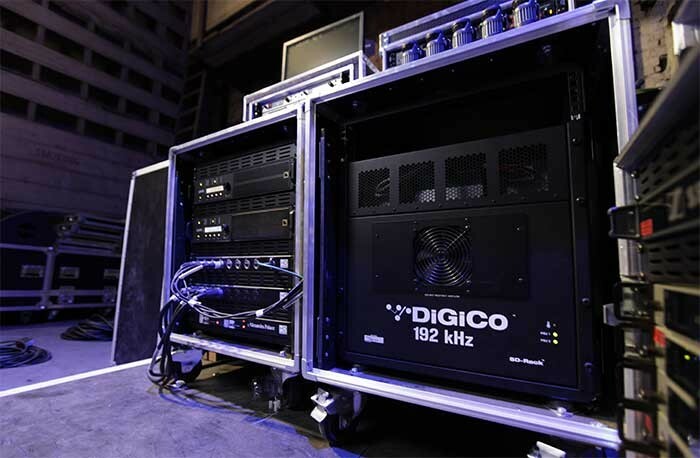 The DiGiCo SD12 and SD-Rack, along with an L-Acoustics Kara loudspeaker system and Sennheiser microphones, were top of his list. The SD12 sits at the front-of-house position, which is in a gallery high up in the rear of the auditorium, and is connected to the SD-Rack via Optocore. 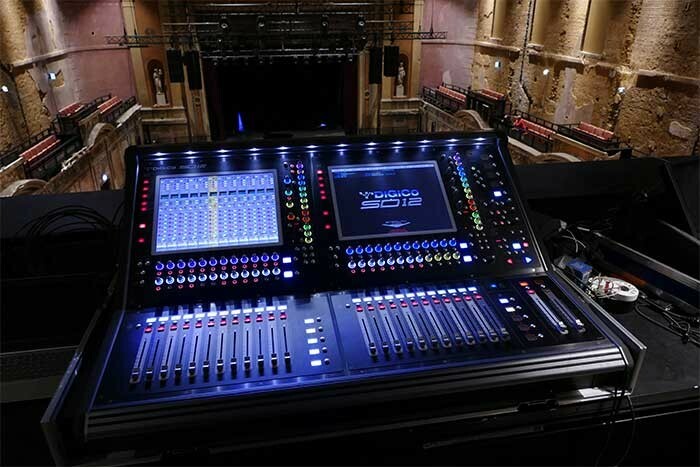 It has proved such a hit that there are plans to add an SD11 as a monitor desk during the second round of procurement which, Steve says, is being chosen for easy integration into the existing system. Its ultra-compact size will allow it to sit neatly next to the stage and its portability means it can double as a satellite desk in other areas around the site.